At the rollout in April 2001, the price was quoted as 16,9 million US-Dollars. In 1996, a price of 14,5 million US-Dollars was announced. Direct operating costs per hour were said to be 919 US-Dollars (April 2001). After cancellations, the orderbook stood at 30 to 40 aircraft in September 2003. Raytheon had over 150 orders and options by October 1999, and the same figure was mentioned at the roll out in April 2001. 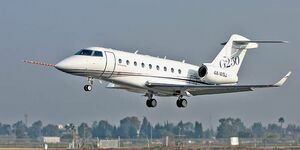 Biggest customer was Executive Jet´s NeJets fractional ownership programme with 50 plus 50 options, announced at the Paris Air Show in 1999. Potential value was 2 billion US-Dollars, but this order was cancelled in 2002. 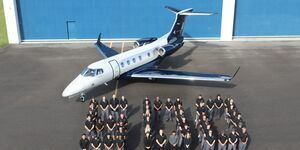 It was revived in December 2005 when NetJets announced to order 50 Hawker 4000 for their U.S. fractional fleet. 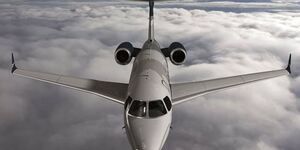 NetJets Europe GmbH have reached an agreement for the purchase of 32 hawker 4000 for NetJets' global fractional fleet in Europe. Sertur Air of Istanbul, Turkey ordered one Hawker 4000 in November 2007 at the Dubai Air Show. The Hawker Horizon is the largest aircraft ever built by Raytheon Aircraft. It fits the “super mid-size” class, with stand-up cabin. Range should allow nonstop segments like London – New York or Tokyo – Honolulu. 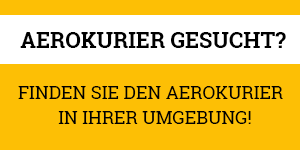 advanced avioncs, i.e. 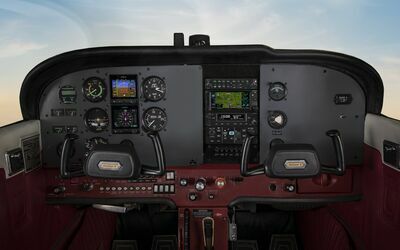 the Honeywell Primus Epic system with five 8 x 10 inch (20 x 25,5 cm) liquid crystal displays in the cockpit. 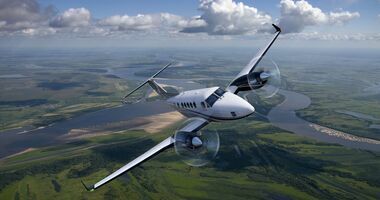 The Hawker Horizon - as it was called at that time - was officially announced at the NBAA Convention at Orlando on 19. 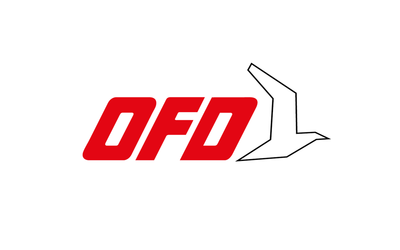 November 1996, but the design had started in 1993. Wind tunnel tests had taken place in 1995. 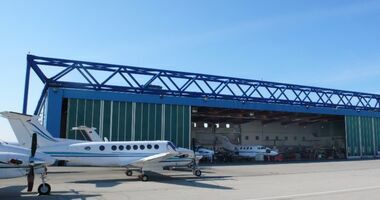 At the time of the unveiling, a first flight in late 1999 and customer deliveries in the spring of 2001 were mentioned. The first wing was delivered from Fuji Heavy Industries to Raytheon Aircraft in Wichita, Kansas, in December 1998. The three pieces of the fuselage were mated on 9 October 2000. Composite fuselage and wing were mated on 16 January 2001. The entire process took less than 30 minutes. Rollout of the Hawker Horizon took place on April 17, 2001 at Wichita. The maiden flight was performed on August 11. 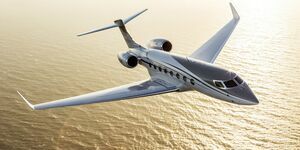 With Horizon Chief Test Pilot Tom Carr at the controls, the business jet flew a 2 1/2 -hour mission from Wichita's Beech Field that tested the aircraft's flying qualities, engine operation, low-speed handling and climb performance. Co-pilot was Hans Betz and flight test engineer was Andy Collier. The aircraft flew to 10,500 feet and operated at speeds up to 225 knots. 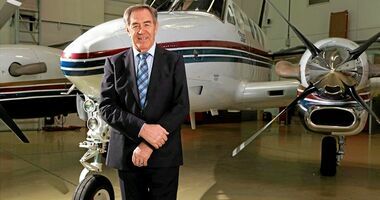 "The aircraft was everything we expected and more," said Carr. "Performance and handling qualities were exactly as expected. Controls were very responsive and predictable. We're ready to go up again." The second Horizon (RC-2), billed as the systems certification test airframe, made its maiden flight on 10 May 2002. Senior test pilot Randy Rosebrok was at the controls. The mission was 88 minutes, cut short due to approaching weather. At that time, RC-1 had over 150 flight hours in the book. RC-3 joined the programme on 31 July 2002. It was designated as the avionics test aircraft. 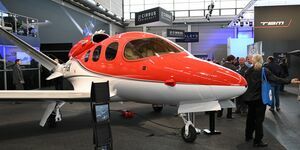 The Horizon made its official public debut at the 2002 NBAA Convention in Orlando on 9 September. About 200 hours were flown at that stage, collecting more than 1600 test conditions. 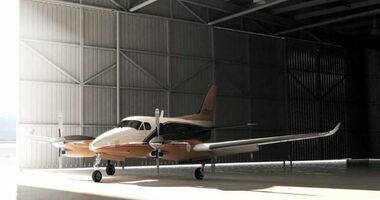 Hawker Horizon test aircraft RC-3 flew for 7.6 hours in April 2003, exceeding the duration of any other test flight in Beechcraft and Hawker history. Several days later, all three aircraft conducted a total of seven flights in one day. RC-4 underwent the first interior fitting around that time. FAA certification tests were expected to be complete in 2003 after 2600 flight hours. This would be about two years later than announced in 1999. In the autumn of 2003, it transpired that there will be another slip, to mid-2004. Raytheon claimed that its main target is to deliver a reliable aircraft from the start. 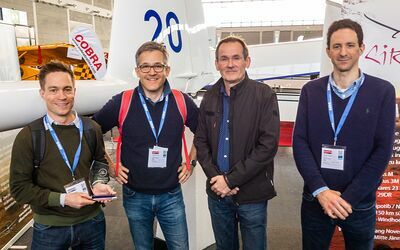 But it took another two years to finally complete certification of the aircraft. 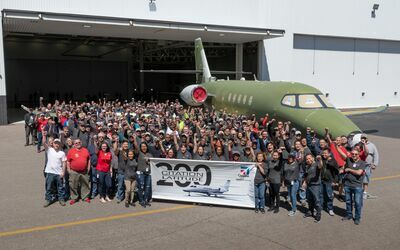 On November 8, 2005, Raytheon Aircraft Company announced that its super-midsize Horizon business jet would transition to the Hawker family nomenclature as the Hawker 4000. Type Certificate was awarded on November 21, 2006. Raytheon Aircraft was sold to newly founded Hawker Beechcraft Corporation in March 2007.